New year = new resolutions, and the perfect time to sharpen up your professional social profile. Towards the end of 2016, LinkedIn recognised the ineffectual use of its Skills and Endorsements feature and decided to give it the revamp it needed. Firstly, for anyone not currently on LinkedIn – get on it. In the most basic of terms, it’s the business version of Facebook – a career-oriented social network and a great way to connect with your peers on a more professional level. That being said, having a Skills and Endorsements section makes good sense. Basically, you add your skills and your connections then endorse the skills they agree you possess. However, leaving the Skills and Endorsements section open to the people occasionally meant that some didn’t take it as seriously as others, adding (in my experience) irrelevant skills like “chewing gum” and “showers”. LinkedIn believes it’s time to put a stop to the nonsense and want users to start taking this valuable feature more seriously. 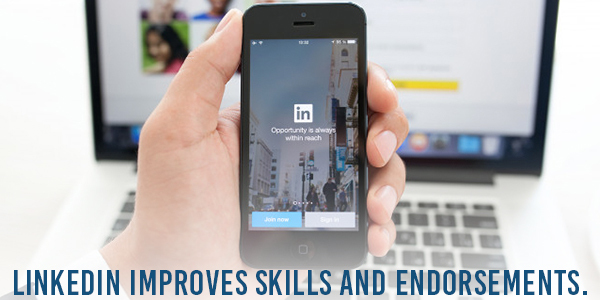 LinkedIn Product Manager, Yolanda Yeh promoted the Skills and Endorsements section of user profiles saying that it can “help people viewing your profile understand your strengths and help you get discovered through search.” She also mentioned that the update means, “We can better surface the most relevant endorsements that help to validate your skills”. This concept of added relevance seems like it’s on the right track. What it will mean is your endorsements will be highlighted based on who is viewing your profile. For example, endorsements made by mutual connections, colleagues and people with the same experience will be accentuated to the viewer, making it easier for them to filter through your skills to find the key ones they are interested in. 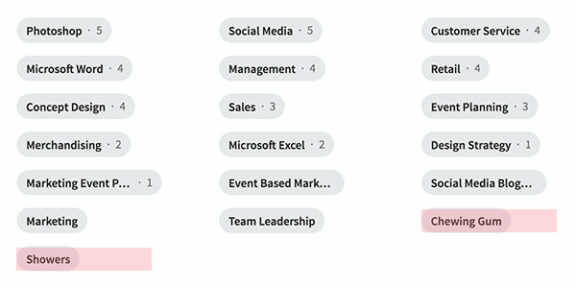 They have also improved targeting, allowing it to suggest endorsements from your listed skill set to the right connections. 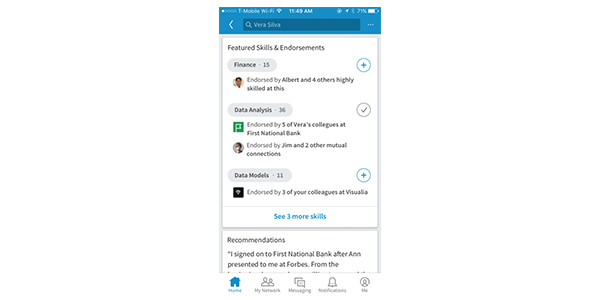 The new and improved Skills and Endorsements section has been rolled out through the LinkedIn mobile app and should be on desktop soon. LinkedIn is also making a lot of other changes including a site-wide redesign, a job searching feature that is kept secret from your current boss, and news-oriented update in the mobile app. In the meantime, you can join LinkedIn (if you haven’t already) and see for yourself what it has to offer as a professional network.